When we speak of “the environment”, we are invariably speaking of the environment outside of us, the external environment. The plants, animals and other living organisms in this environment share the air we breathe, the water we drink and swim in, and the soil we walk upon. Their survival is to some degree dependent upon our wise stewardship of the Earth’s resources. When we endeavor to protect this environment it is a noble enterprise. It demonstrates our reverence for Mother Earth and our appreciation for the beautiful world we live in. Most of us however fail to realize how the health of the external environment determines to a large degree the health of our internal environment, the health of the environment within our bodies. Our external and internal environments are inextricably linked. Breathing in the air we all share, drinking the water that bathes the entire planet, and eating the food grown in the soil of the earth, incorporates the external environment into the very structure of our bodies, not only affecting our physical health, but our mental, emotional and spiritual health as well. Our Western mind, greatly affected by the Western scientific approach, has an affinity to separate things in order to better understand them. Although this scientific approach has led to much greater understanding of various basic sciences, it remains blind in many ways to how it all fits together in our complex world. Just as in Western culture we tend to think of the “body” and the “mind”, in actuality there is no separation at all. According to Candace Pert, M.D., a neurophysiologist researcher, there is only the “body-mind”. The mind and the body are one. Each affects the other in many complex and profound ways. Similarly, there is no “external environment” and “internal environment”. Those are only artificial constructs of our Western mind. There is only “The Environment”, which encompasses everything within and around us. By affecting the one, we are automatically affecting the other. Polluting the external environment pollutes our internal environment, and vise-versa. So, being good stewards of the environment is not only altruistic, it is self-serving (in a good way) as well; contributing in very substantive ways to our physical, mental, emotional and spiritual health. The choices we make always have a dualistic affect. Choosing to eat organic food not only results in less pollution of our internal environment and leads to improved health; it also supports more farmers growing more food without pesticides and herbicides, resulting in less pollutants released into the external environment. Eating locally and seasonally not only results in less fossil fuels being burned in order to transport food to our table; it also provides us with food that is seasonally appropriate for our bodies, leading to increased levels of health and vitality. Detoxification is very important to our body and with the Holidays approaching there is no better time to Detox or Cleanse our system. Dr. Mark Hyman goes into detail to help you understand and execute this process. Below is a guide to assist each patient through a safe, simple, realistic, and pleasurable transition into healthy eating. Because whole foods-based diets remove all the sugary, fatty, chemical-laden, artificial stuff from the diet, they sometimes get called a detox or acleanse. When our bodies become toxic it means that our natural method of ushering out metabolic waste from normal human metabolism, environmental pollution, and what has become known as the Standard American Diet (or SAD) has exceeded the threshold for what the body’s innate detoxification system can tolerate. With this toxic load, every system in the human body can become affected. From our head to our toes and everything in between, toxicity makes us sick! Usually a constellation of complaints help to determine whether or not you are toxic and to what extent you need to cleanse. Safety means allowing the body to do what it wants to do naturally, with a little assistance from some guided healthy eating, appropriate supplements, and relevant lifestyle modifications. I usually have my patients do a cleanse for 7 days to 6 weeks, or even longer, depending on their particular needs. Work with a trained medical provider to help determine what length of time is right for you. Like we would plan for any big trip to a new destination, we need to prepare, plan, and set out some main goals for our journey. And by the way, as in all travels, it’s always a good idea to leave some room for the serendipitous excursions to occur. When handled properly, they can be the best part of a trip! So how can we plan for a safe and simple detoxification protocol? Constipation Move those bowels! Drink plenty of purified water. Try warm water with lemon first thing in the morning. Often, taking 300 mg of magnesium citrate is helpful or try an Epsom salt bath. Food allergies or sensitivities These can be obvious or obscure. But chances are, as your body lets go of toxic waste, it will be easier to recognize a hidden reaction to gluten, dairy, soy or any of the other common food allergies. 2. To prevent headaches, make sure your bowels are clean. 4. Take 1,000 mg buffered vitamin C with breakfast and dinner. Take 300 mg magnesium citrate at dinner. 5. Don’t wait until you are starving to eat! Balance your blood sugar by eating protein-based meals and snacks every three to four hours. Excellent sources of protein are baked or broiled fish, lean poultry, and legumes such as edamame or black beans. 6. Heat is a great resource while cleansing as it helps draw out toxins from within. Try a sauna or a warm bath with Epsom salts for 20 minutes a few times per week. 7. While safe, these types of cleanses can still be stressful on the body and mind so remember to relax. Actively engaging your parasympathetic nervous system helps restore your energy which your body needs to replenish itself. Meditation, deep breathing, or any calming activity is good. 8. Eliminate all refined sugars, flours, caffeine, alcohol, dairy, gluten, or addictive substances. By allowing certain triggers to stay in the diet the body stays on the vicious cycle of cravings and addictive behavior. Reset your biology to eliminate all triggers. 9. Keep a journal and track your symptoms. You should feel better in three to seven days. If you do not feel well at this point, please exercise caution and check in with your doctor. 10. Tune in to your body and listen to the cues it provides. A cleanse is a great journey to learn more about understanding how to operate your very own owner’s manual! Dr. Mark Baxter is a local chiropractor who specializes in nutrition, healthy diet and lifestyle choices, detoxification, hormonal balance, bio-identical hormone replacement therapy, and neurotransmitter balance. 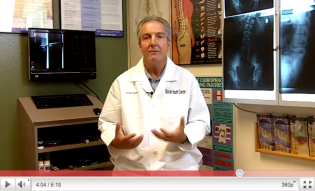 Call (702) 233-1100 or visit my site www.MyLasVegasChiropractor.com for more information and Videos.